It’s the separation of children from their parents that the lefties are in an uproar about even though it was also happening under Obama at pretty much the same levels. Democrats basically invited people to assault our border and then got them arrested for the crime! The latest example goes far beyond fake news. It’s media malpractice. But the girl’s father told The Washington Post on Thursday night that his child and her mother were not separated, and a U.S. Customs and Border Protection spokesman confirmed that the family was not separated while in the agency’s custody. It’s good to know this little girl is doing fine but the damage has been done. 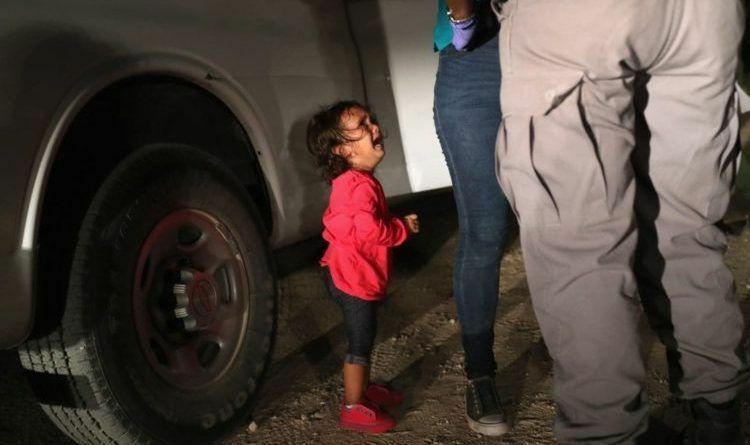 Millions of Americans have already seen this photo and think they know the situation at the border when they couldn’t be more mistaken. Democrats had no problem when Obama held children at the border. They don’t care what happened under Obama. They only want to rage because it’s Trump. And, the truth is that the news kept quiet and didn’t report it. Now they put the blame on conservatives. Democrats are people with no morals.